US coin collecting is a hobby that many people concentrate on. However, if you are one of those individuals, and you have never thought of using a metal detector to locate these coins, then I believe you are missing out on a great opportunity to add coins to your collection. There is nothing like finding silver coins that have been lying in wait just beneath the surface of the ground. This is an excitement that cannot be explained. You need to experience the thrill first hand to understand what I mean. Sure, it’s nice to buy the US coin you wanted. There is a certain thrill to walking into a coin shop, or an auction, or even going on to eBay to make a purchase. Yet, the discovery of U.S. coins using a metal detector is a far greater thrill. You do not need an expensive metal detector either. You can purchase a new detector for between $350-$450. Used models can be bought for much less, however, be very careful when buying a used model. Metal detectors have a way of getting beat up if they are not taken care of properly. If you buy a new detector, don’t buy one that has all of the bells and whistles. Top end models like these have a very long learning curve to them. Many newbie’s to the hobby who purchase the expensive models usually give up because they have difficulty learning how their detector performs. Once you buy your metal detector, read the owners manual, and learn how to use the detector. Practice, as they say, makes perfect. The better you understand how your detector works, the more US coins you will locate. The best places to search for those coins, and thus enhance your US coin collecting, are in parks, and schoolyards. The older the park, or the school, then the older your coins will be. Of course, it’s those silver coins we want to own, not just for the silver content that makes them a collectible, but also for the rarity and the age. 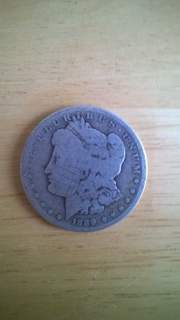 I have located hundreds of Seated, and Barber coins by searching parks and schoolyards with my metal detector. Of course those US coins were located in century old and older schools and parks. If you know people who own homes older than 1965 then it’s a good bet there are silver coins in there lawns. People drop coins all of the time while working and playing in their yards. Ask permission to detect those yards. If you see an older home that you would like to use your metal detector around and you do not know the owner, then knock on their door and ask for permission. Sure you will get people who say “no”, however, you will also get those owners who tell you it’s okay. Just be sure you are respectable of their property, and that you always fill in your holes. If you use a metal detector to enhance your US coin collecting, you could very well end up paying for that new detector due to what kind of coins you find. Try it, and I think you will become a metal detecting junkie. Are You Interested In A Metal Detector? Visit My Store! US coin collecting around eastern ghost towns. For more metal detecting and treasure story articles visit this page.